short girl, long island. : Teach Me Something Thursday, Volume Four. The fourth post in the TMST series comes from my friend, Lauren. 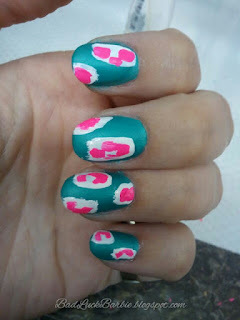 She has been making killer nail art for quite some time, + I asked her to create something special for the blog. Lauren is going to teach us how to create an ikat pattern nail art manicure! 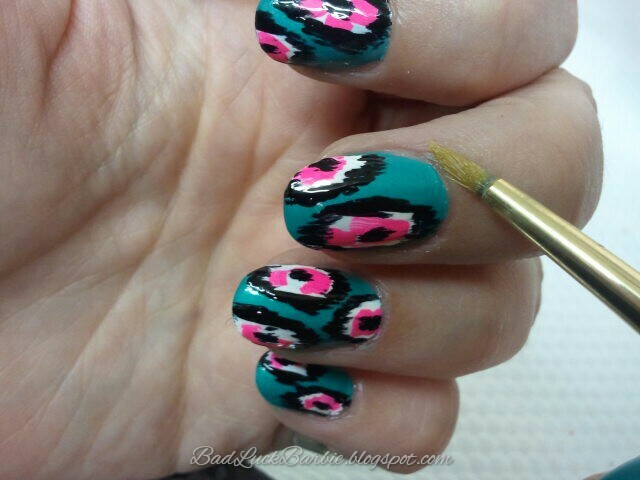 This nail art tutorial is for an ikat pattern nail art manicure. Ikats are patterned textiles and fabrics produced by tying and resist-dying threads before weaving, similar in process to tie-dying. 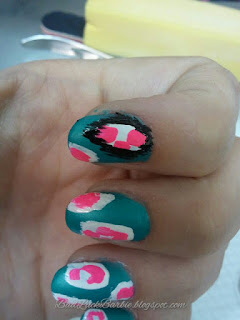 Ikat nail designs are fun and easy to do and you can use just about any colors. Also, this mani is great because it doesn't have to be perfect! This is always a plus, especially when trying to paint your non-dominant hand. When doing an ikat pattern, I personally prefer to use bright contrasting colors but neutrals will work too. The options are endless! 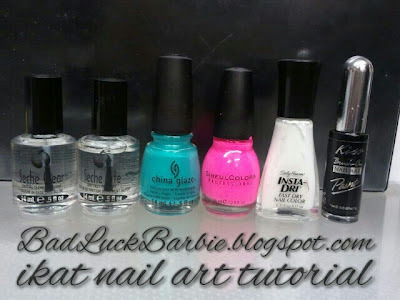 • White nail polish - Sally Hansen Insta-Dry in "Whirlwind White"
• Black nail striper - Kiss brand Brush-On Nail Art Paint striper "Black"
These steps are totally optional, but definitely recommended! • Put down some paper towels on your work area, in case of any spills. • Be sure to remove any old nail polish. • Push back cuticles with a cuticle pusher or orange wood stick and trim if desired. • To make things easier to find (and because I'm super neurotic) I always set up my polishes in the order that they will be used. 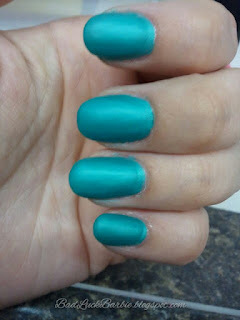 • Apply a base coat to protect from potential staining from color polish; wait for it to dry completely. Apply 2 coats of the base color and allow to dry. It is important to allow all polish to dry before applying a different one over it, otherwise the colors will bleed. Apply the white polish in an oval-type shape. It doesn't have to be perfect, just a general oval. 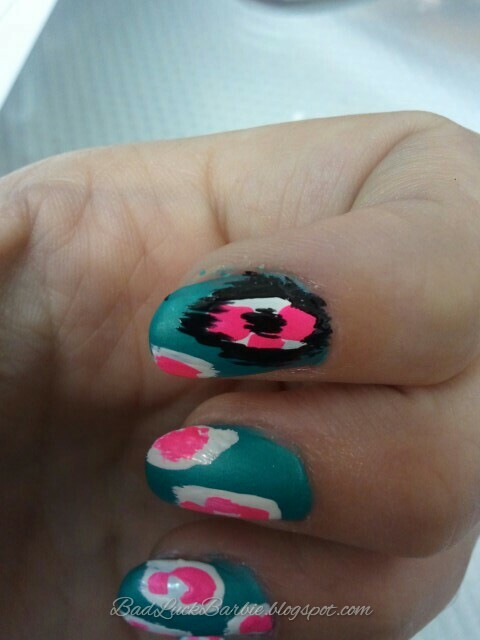 It is better to make the ovals going up and down the nail, instead of across, because you will run out of room. Try not to keep too much polish on the brush, because you don't want the color to accidentally drip on the nail in a spot that doesn't look good. Apply the accent color over the white ovals. This can be done any way you'd like. You can leave more white showing or less, it's up to you! Paint the accent color in a similar fashion as the white, not using too much polish on the brush to avoid drips. For the sake of variety, on some ovals I did a smaller oval-ish blob in the middle, others I did 3 smaller blobs and some I made a C or G shape. As always, let it dry! Using the black striper, begin to paint multiple thin lines lengthwise, thus creating a border on the white ovals. Don't worry if your lines aren't perfect and the same length.. varying and imperfect lines actually look better and more "textured" and fabric-like! Personally, I found that starting with the longer lines on the side of the ovals was easier to get the desired shape. The side edge borders can be as thick or thin as you'd like, just paint more or less lines. Once the 2 longer sides are done, paint shorter lines lengthwise, very close together until you've made lines all the way across the top and bottom. As in step 4, varying lengths look better than using the same length line over and over. You can make your end borders as short or long as you'd like, just by painting shorter or longer lines. Using the black striper again, and in the same manner as the border, paint thin lines lengthwise somewhere in the center of the oval. This will create an imperfect center dot. The center dot can be as big or small as you'd like and it doesn't have to be perfectly centered. 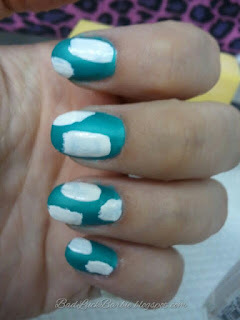 Allow to fully dry, and apply top coat. This step is completely optional, but if you are as neurotic as I am, it will help achieve that perfect neat manicure. You can use either a small paintbrush or cotton swab, dip it in nail polish remover, and use it to erase any excess polish on your cuticles and skin. Be careful not to use too much remover, otherwise you will risk ruining your design. If you opt for the brush, be sure to use brushstrokes in the same direction, don't "swish" the brush around, it tends to spread the excess polish rather than remove it. And that's it! I hope this tutorial has inspired you to try ikat patterned nail art! Check out more of Lauren's awesome nail art on Instagram + her brand-new blog, Bad Luck Barbie. Ohhhh this looks sooo cool! 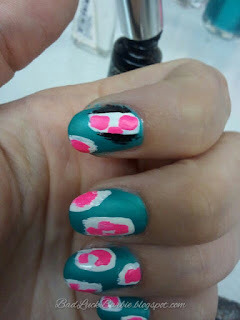 If you think this is cool, you need to see the other awesome tutorials Lauren has up on her blog. She's awesome! I didn't think it was possible either, but with the steps being broken down, it is definitely doable. ok hello cute nail polish! I just saw your guest post over at Sometimes Sweet. loved it. Aw, thanks so much! I really loved being able to participate. How clever and pretty. Nice post.